Sorry. Kinda. It’s been one of those days. Sometimes stress is released in the form of weirdness. And managed by eating pizza. 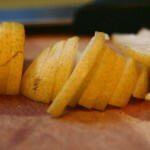 Cutting veggies is therapeutic too. 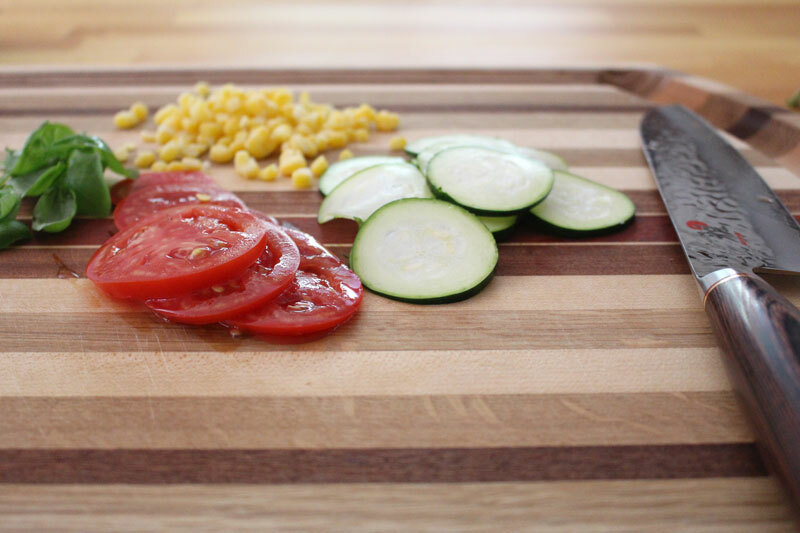 I have lots of cutting boards, and two are designated for onions and garlic. 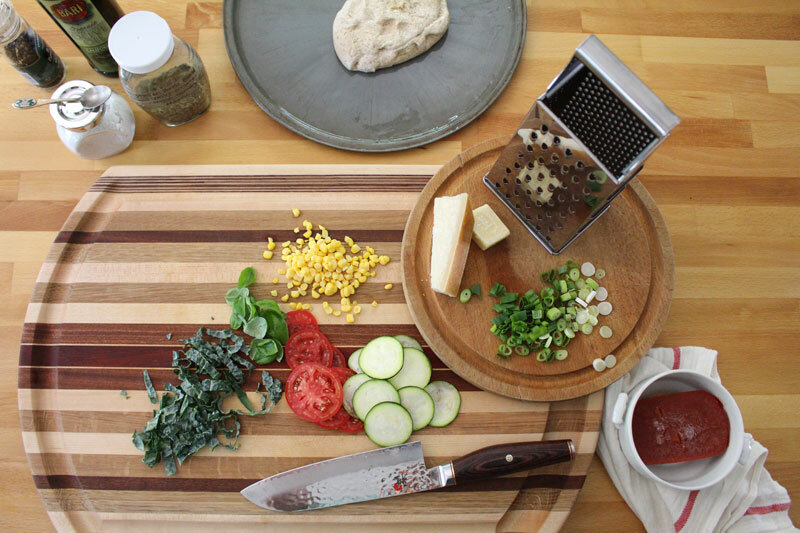 My beautiful new cutting board is not one of them. I never want anything sweet to accidentally taste like raw onions. Nope. Yuck. So I have two cutting boards with an X on the back that are special and a little bit stinky. 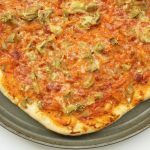 We had a similar pizza to this the other week. Ahem, I did. Tim doesn’t agree that squash belongs on a pizza. He will eat it in pretty much anything else though, so it’s cool. He made his own personal pizza and I made mine. Mine had lots of veggies. His didn’t. They both tasted good. I used Alana’s recipe for the pizza crust (from her cookbook). You can use hers, or whatever you would normally use. I like my crust thin and crispy. If you like it thicker and chewier, adjust the recipe accordingly. Because of my taste for crispness, I like to par-bake the crust a bit before topping it. Par-bake means to partially bake it (as par-cook means to partially cook). 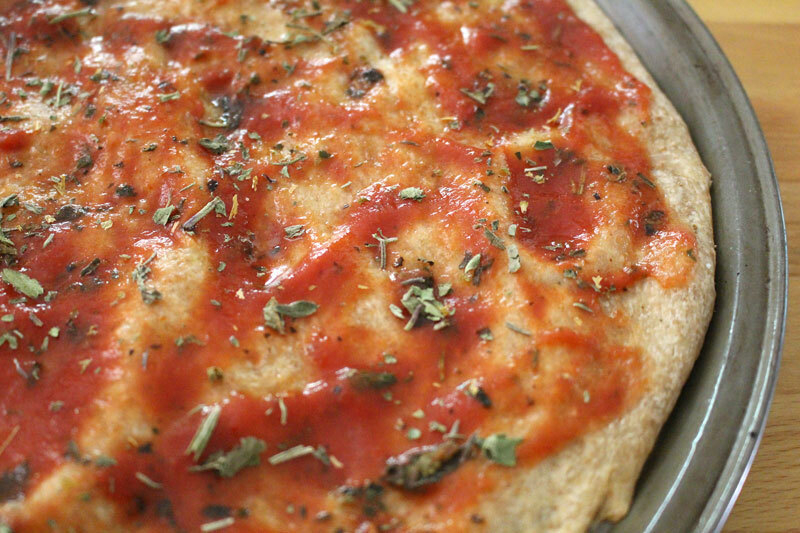 Then it’s topped with some tomato sauce (it’s also great with olive oil if you don’t like sauce), and more herbs. 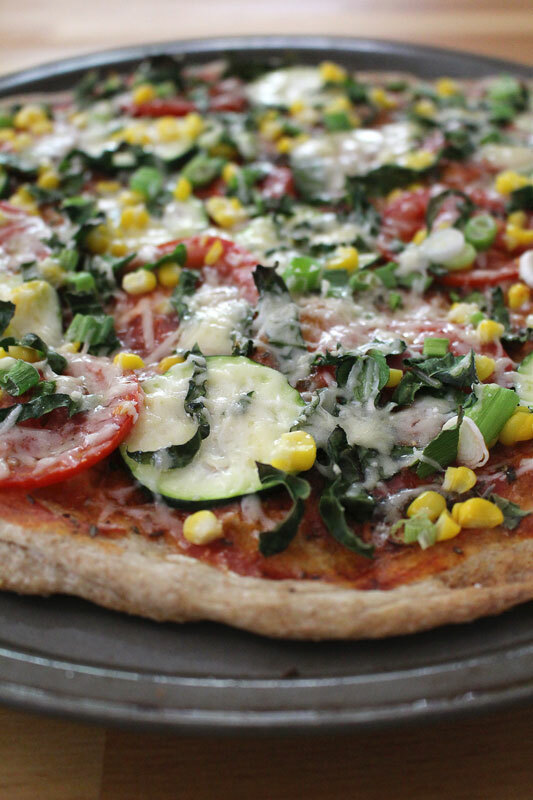 Lots of different veggies, like kale, zucchini, corn, and tomato (tomato is a fruit, but in this case let’s pretend it’s a veggie since it’s acting like one), but not so many that it weighs down the pizza. It’s still a light summer meal. I opted for some parmesan and an aged cheddar. Because it’s what I have in the fridge. I’d planned to use feta, but it’s smelled baaaaad. There’s stinky cheese and then there’s steeeeenky cheese. It’s topped with a bit of basil (from my garden – all the basil that I got as an add-on from AHO last week is gone gone gone). And as soon as the last photo was taken I ate as much as I could, as quickly as possible because I was starving! And then I ate it again today before I typed up this post. 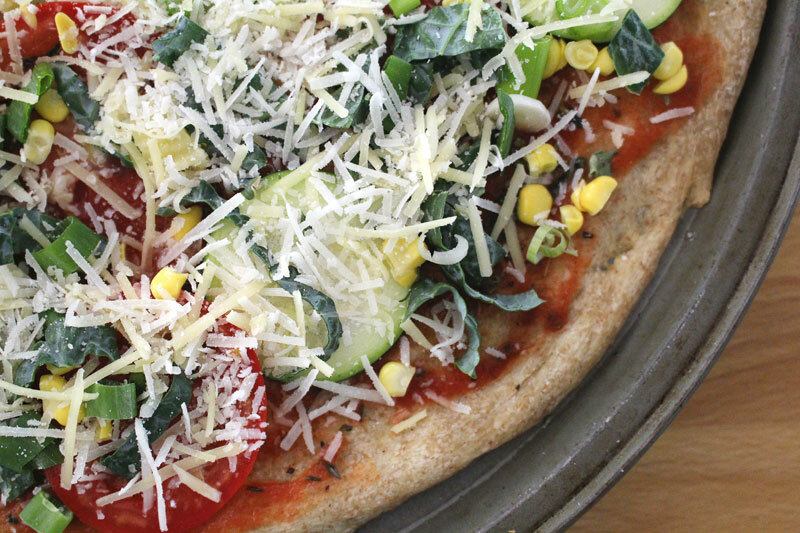 Summer squash, corn, and tomatoes all top this light summer pizza. 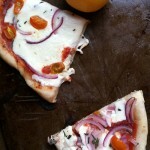 Grease pizza pan with 1 t olive oil. 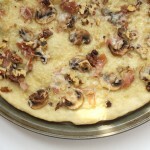 Press out crust onto pan so it's fairly thin. 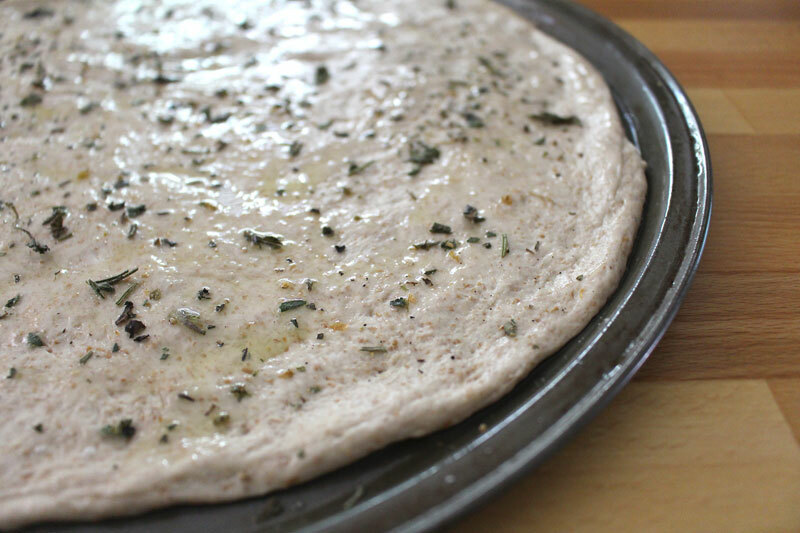 Top crust with remaining olive oil, and sprinkle with 1 t Italian herbs, salt, and pepper. 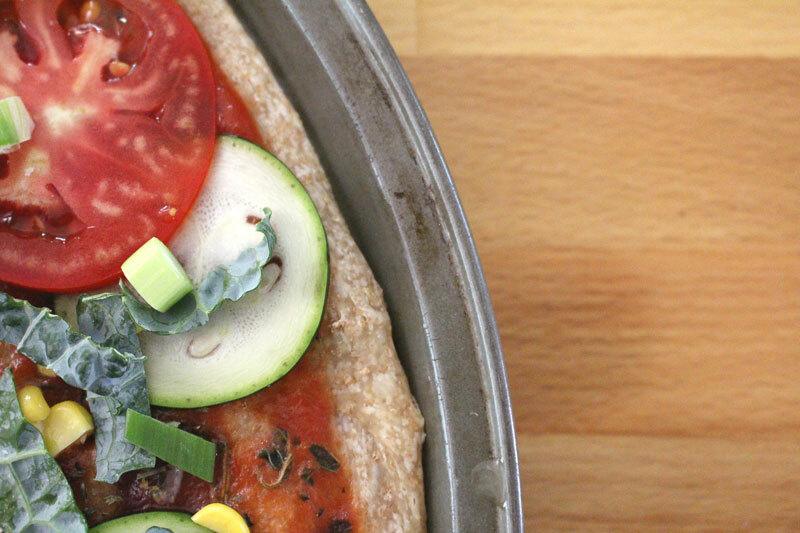 Bake for about 5 minutes (optional - you can bake it all at once too). 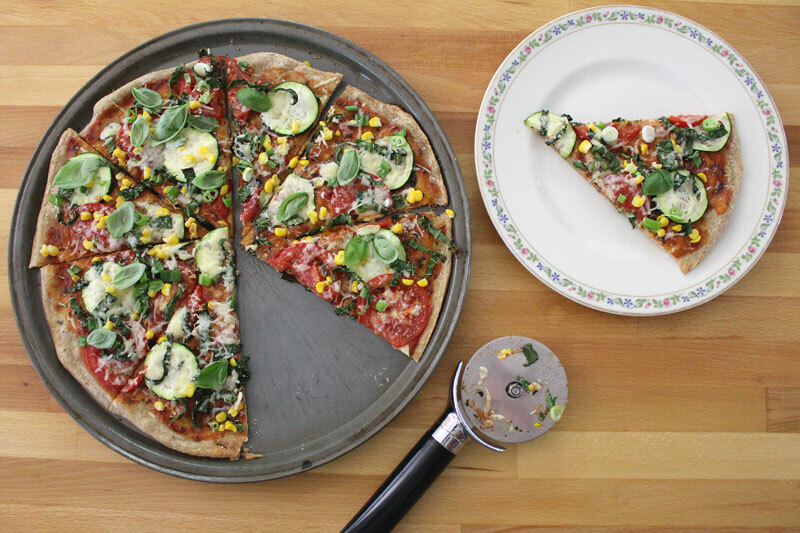 Top par-baked crust with sauce, remaining Italian herbs, veggies, cheese, salt, and pepper. Bake an additional 7 minutes (or until crust is to desired crispness and cheese is melted - it will be longer for thicker crusts).